Just recently we were supposed to tour a container ship as part of San Francisco's Festival of Sail. Unfortunately, for whatever reason, the ship was unavailable. 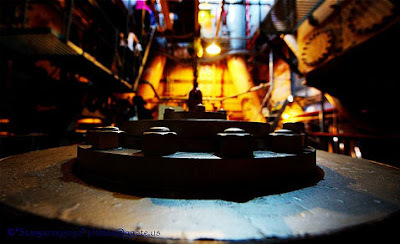 Disappointed for sure but we did get the chance to once again go deep into the very cool engine room of the SS Jeremiah O'Brien, a World War II cargo ship.